We took a quick trip to Lembah Bujang in Merbok during the recent school holiday. Lembah Bujang (The Bujang Valley) is not as popular as other destinations in Malaysia but it sure gives visitors an awesome lesson in history. A great place for history lovers as well as to teach children history. I can remember vaguely that I studied about Lembah Bujang in school. Lembah Bujang was a central port which served as a trade center for traders dominating the trading routes between the eastern and western countries especially the Chinese, Indian and Arab traders. 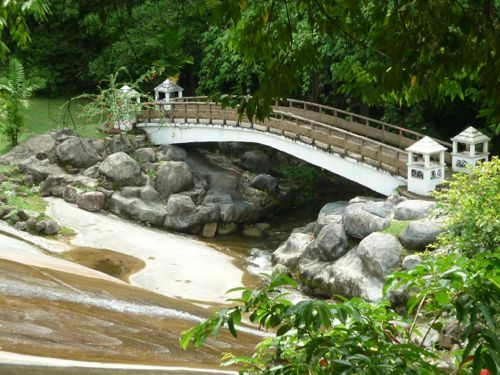 Lembah Bujang is located on a small hill adjacent to Gunung Jerai. It’s accessible via Merbok town. Merbok is a small town in Kedah and it has only two rows of shophouses on both sides of the road. You can get to Merbok through Sungai Petani. I am impressed with the cleanliness of the richest archaelogical site. It’s well-kept and it gives a pleasant and soothing feeling to visitors. 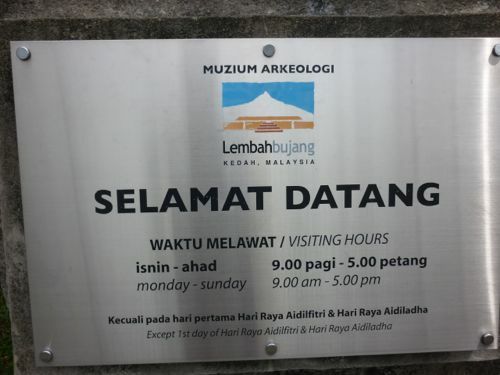 Lembah Bujang Archaelogical Museum is situated next to the car park. 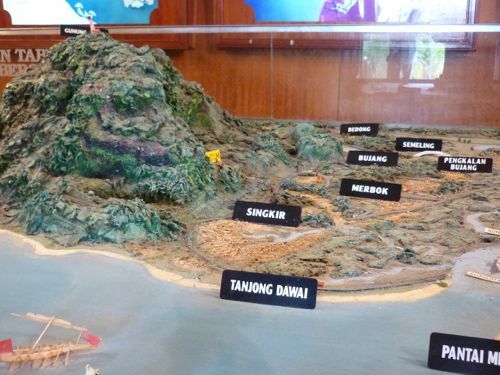 It houses the history of Lembah Bujnag as well as Kedah. 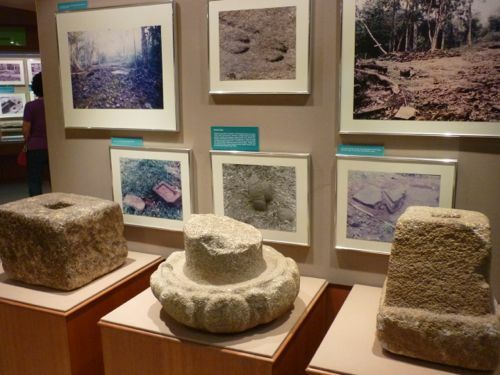 The one-level museum keeps and displays artifacts from Lembah Bujang such as building remnants, statues, ancient tools, and more. The best part about this museum is the admission is free. All you need to do is to register at the counter. The museum opens 7 days a week from 9 am to 5 pm except first day of Hari Raya Aidilfitri and Hari Raya Aidiladha. In Lembah Bujang, one can still take a close look at the reconstructed ancient temples called candi. 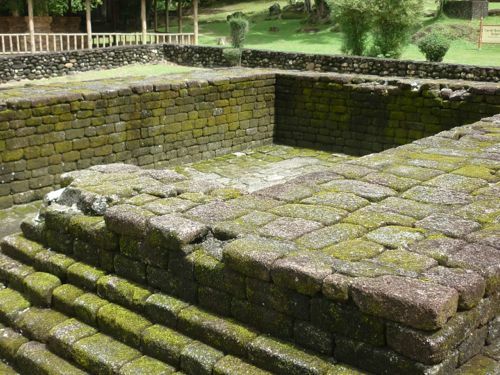 These are Hindu-Buddhist temples dated back more than 2000 years ago found in the area of Bujang. Temples that can be found here are Candi Pendiat, Candi Bukit Batu Pahat, Candi Pengkalan Bujang, and Candi Bendang Dalam. If you have free time or the day is too hot, you can have a splash in a stream nearby. The place looks clean and I spotted some kids were having fun there. Follow signboards to Merbok from Sungai Petani. When you reach Merbok town, the road leading to Lembah Bujang is on your right – between a coffee shop and police station. Sorry techies, no GPS coordinates. By the way, you can have a cup of coffee and noodles at the coffee shop. The coffee is featured in a local newspaper and it’s ‘kau’ (thick).